Cherry Hills Village Georgian on 2.3 private acres. Located in the exclusive Reserve at Cherry Hills. Fabulous sprawling estate with ultra potential. Elegant entry staircase & marble floor. Main level study and grand Master suite with large bath, sitting area and fireplace. Generous formal rooms and updated and spacious kitchen. Upper level offers three bedrooms & two baths. Bright walkout basement includes home theater, heated indoor pool, hot tub, indoor sport court, exercise room, rec room with wet bar & fireplace, bedroom/bath & large game room. One-bedroom apartment above 7-car heated garage. The exterior features are complete with outdoor pool, tennis court and pond set on interior location of cul-de-sac. 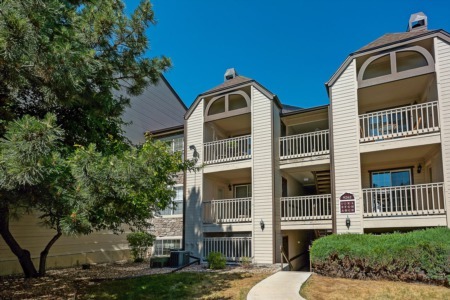 Convenient location with quick access to I-25, DTC, Cherry Creek and excellent schools & shopping. Directions:University just S of Hampden, East on Sunrise Drive, 1st left to property on right. SchoolsClick map icons below to view information for schools near 10 Sunrise Drive Cherry Hills Village, CO 80113. Home for sale at 10 Sunrise Drive Cherry Hills Village, CO 80113. Description: The home at 10 Sunrise Drive Cherry Hills Village, CO 80113 with the MLS Number 8089183 is currently listed at $2,500,000 and has been on the Cherry Hills Village market for 137 days. You are viewing the MLS property details of the home for sale at 10 Sunrise Drive Cherry Hills Village, CO 80113, which is located in the Cherry Hills Village subdivision, includes 7 bedrooms and 9 bathrooms, and has approximately 16800 sq.ft. of living area.